Ewan McGregor’s estranged wife, Eve Mavrakis, has finally broken her silence on the couple’s rumored split. Mavrakis, 51, responded to an Instagram user on Friday, November 10, who commented on a photo she posted in October celebrating a friend’s birthday. In the comments, the fan inquired about Mavrakis and 46-year-old McGregor’s relationship status. The fan also criticized the actor for cozying up to his Fargo costar, Mary Elizabeth Winstead. As previously reported, McGregor and the production designer sparked breakup rumors he was spotted locking lips with Winstead, 32, at a London eatery in photos published by The Sun in late October. The costars also cuddled up at the cafe and were spotted leaving together afterward. The rumored new couple were also seen holding hands while strolling through Hollywood on Saturday, November 11. 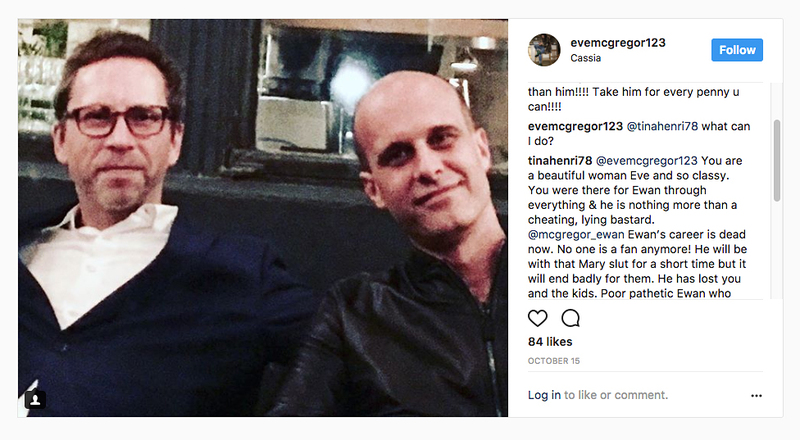 McGregor has yet to comment on his speculated split from Mavrakis, with whom he shares four daughters: Clara, 21, Jamyan, 16, Esther, 15, and Anouk, 6. Winstead was previously married to director Riley Stearns, but the couple announced their split in May after seven years of marriage.